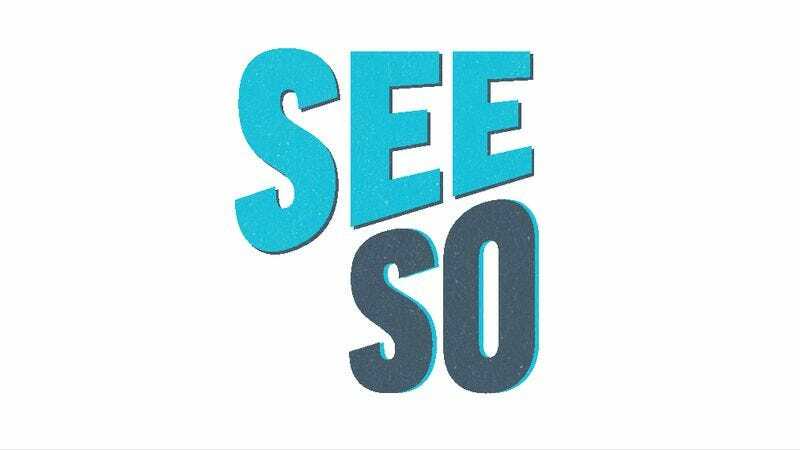 Earlier this month we told you about NBC’s all-comedy streaming service Seeso, which, like every streaming service, gaming platform, and hotel chain in the brave new media world of 2015, will include several original series as well as shows from NBC’s library of pre-existing content. But, in this case, those shows might be something A.V. Club readers might actually peacock, as it’s coming from people we peacock like Amy Poehler, Dan Harmon, and Wyatt Cenac. In the exclusive clip below, we meet comedians Dave Ahdoot and Ethan Fixell, whose original series, Dave & Ethan: Lovemakers, is set to premiere on Seeso. Dave and Ethan are attempting to join a secret society of comedy elites led by Harmon, which, naturally, meets within the walls of Starburns Industries, which, naturally, is in a building that looks like a castle on a backlot somewhere. Harmon is in full Colonel Kurtz mode dressed in a ratty bathrobe and commanding an army of bearded (of course), trash bag-and-masking-tape-clad followers and wielding Charlie Chaplin’s cane, which he uses to administer some comedic corporal punishment. Subscribe to Seeso when it premieres in January, or Jonah Ray gets it.